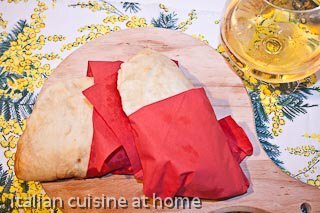 In this table you can find recipes with pictures step-by-step for cooking the panzerotto (panzerotti) also called "pizza fritta" (fried pizza). 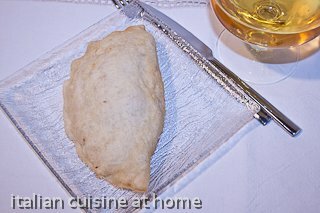 The panzerotto is a traditional recipe of Apulia and it is very easy to make at home. 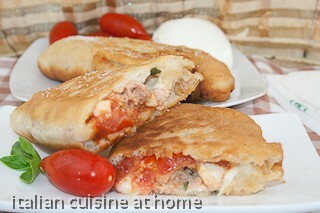 It is a good alternative to pizza and it is not necessary to have an oven for cooking. 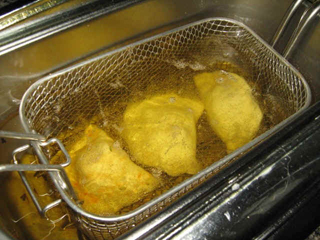 In fact the name pizza fritta in Italian means fried pizza. Also the condiments can be the same of the pizza, but the taste is different. 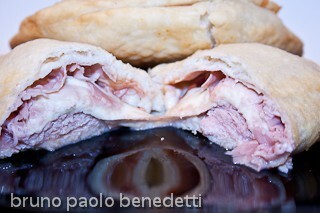 Here below you can find the video with the basic recipe and recipes for stuffing, undertitled in English. The recipes are proposed in order of arrival. The recipes are split into two pages: the ingredients table, with doses, cooking time and notes about ingredients and cooking techniques, linked to the text. 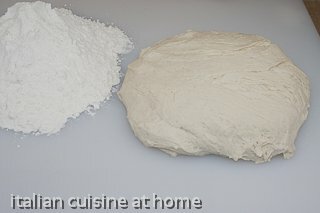 The step-by-step explained and photographed recipe, with pictures of the finished dish and of each preparation step, is linked to the picture. 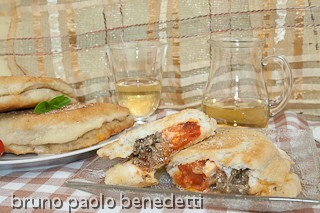 the panzerotto or pizza fritta is a traditional recipe of Apulia. The stuffing with tuna is tasty and light, suggested for a quick meal or in a party. SINGLE COURSE The stuffing with anchovies and tuna is very tasty and suggested for people liking strong flavours. Very good for a light meal.